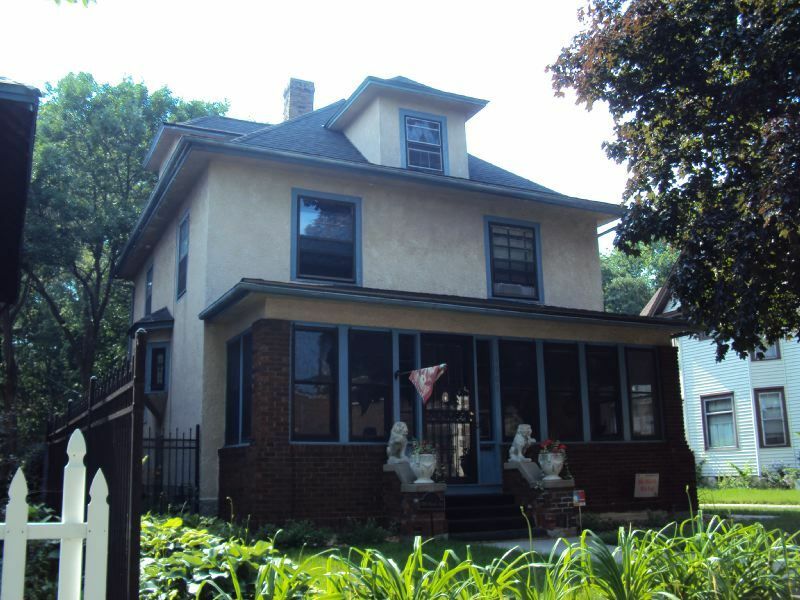 Built in 1907, this two-and-a-half story Prairie Style/American Foursquare was first owned by Peter and Mary Eminger. Peter Eminger was a co-owner of Drews and Eminger wholesale meat firm at 34 Central Market. Sadly, Peter died in November of 1907, just a few months after moving in. His wife and niece continued living in the house until around 1912. The second owners were John and Mary Wiblishauser; John was a designer at Witte Brothers Glass Company at 1701 Washington Avenue North. Witte Brothers designed and manufactured saloon and store fixtures, and these fixtures still occasionally turn up even today in old bars and restaurants in Minnesota. The Wiblishausers installed electricity to the home around 1911. The current owner has lived here for more than 20 years. With the exception of the offset entry, this is a symmetrical home. Wide eaves cover the one-story porch with massive brick porch supports. The hipped dormers to the front and side are original. Note the detail in the oriel window (a window projecting out from a structure) jutting out of the stucco on the south façade. In 1921, the front porch was enclosed and the garage in the back was built. The original exterior was wood lapped siding; the stucco exterior was applied in 1935. 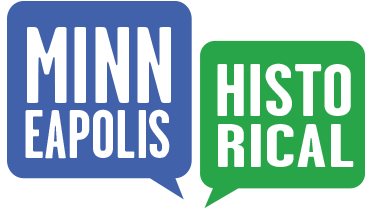 Old Highland Neighborhood Association, “1709 Dupont Avenue North: Eminger House,” Minneapolis Historical, accessed April 22, 2019, http://minneapolishistorical.org/items/show/13.